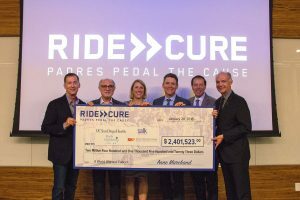 Padres Pedal the Cause presented a check for $2,401,523.00 to representatives from Moores Cancer Center at UC San Diego Health, Sanford Burnham Prebys Medical Discovery Institute, the Salk Institute for Biological Studies and Rady Children’s Hospital–San Diego. The funds represent the total amount raised by Padres Pedal teams and participants in the November 2017 cycling event. It’s the largest annual contribution in the five-year history of the organization. 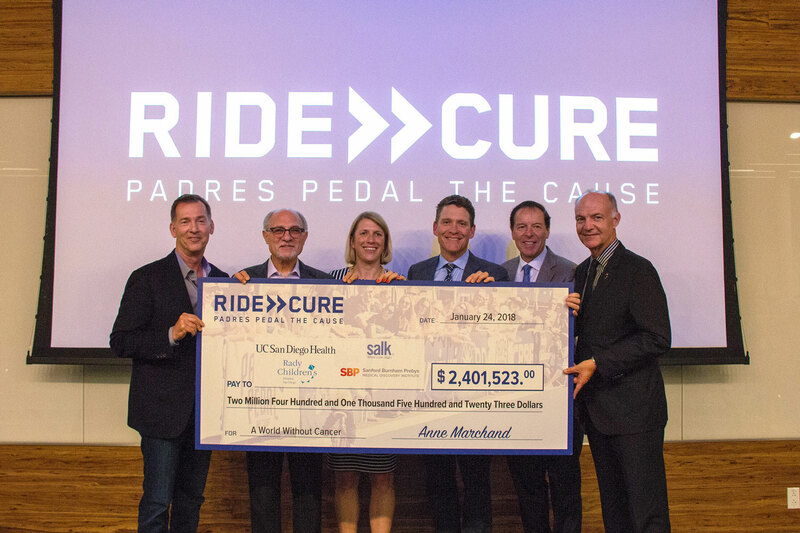 LA JOLLA—Padres Pedal the Cause has donated more than $2.4 million to support cancer studies at the Salk Institute, Rady Children’s Hospital, Moores Cancer Center at UC San Diego Health and Sanford Burnham Prebys Medical Discovery Institute. The check was presented to representatives from the four organizations on January 24 and was the largest donation ever made by the grassroots organization. Hundreds of cyclists participated in the fifth annual Pedal the Cause, which was held on November 11–12, 2017, at Petco Park. The Salk Institute team featured 18 riders and raised nearly $25,000. Proceeds from the event support innovative cancer projects with a major emphasis on collaborative, translational research that offers a clear path to clinical trials. For researchers at Salk, and around San Diego’s life sciences hub—the Torrey Pines mesa—this funding will support ongoing efforts to illuminate the basic biology that drives cancer and translate those findings into new therapies. 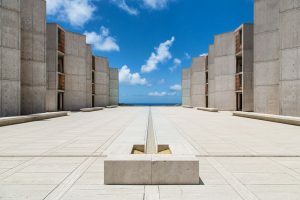 The Cancer Center at the Salk Institute for Biological Studies was established in 1970 and, two years later, the Salk Institute Cancer Center became one of the first National Cancer Institute (NCI)–designated basic research cancer centers in the United States. This designation recognizes the Institute’s scientific rigor across its laboratory research, scientific discoveries and therapeutic cures. The Salk Institute Cancer Center, led by Reuben Shaw, comprises half of the research at the Salk Institute and includes 32 faculty members, 199 postdoctoral researchers, 41 graduate students and 101 research assistants.